Firm principal Ann Riley focuses her practice primarily on divorce, complex property division, child custody and visitation, child support and spousal support, post-judgment modifications, premarital and post-marital agreements, and paternity matters. She has substantial experience in writs and appeals and still devotes a portion of her practice to that area of family law. Ms. Riley has significant expertise in custody matters and has handled many custody cases for families with children who have special needs. 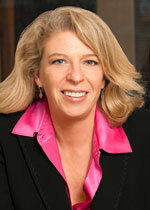 Ms. Riley was admitted to practice in California in 1989 and has been a Certified Specialist in Family Law since 1998. She has been repeatedly recognized as a Northern California Super Lawyer. Ms. Riley regularly practices in the California family courts throughout the Bay Area, and she has also appeared before the U.S. District Court for the Northern District of California and the U.S. Court of Appeals for the Ninth Circuit. She also serves as a Judge Pro Tem in the San Francisco Unified Family Court. Ms. Riley received her Bachelor of Arts degree from the University of Oklahoma and her Juris Doctorate from Pepperdine University School of Law. She is a member of the Bar Association of San Francisco, the Marin County Bar Association, and the Association of Certified Family Law Specialists.